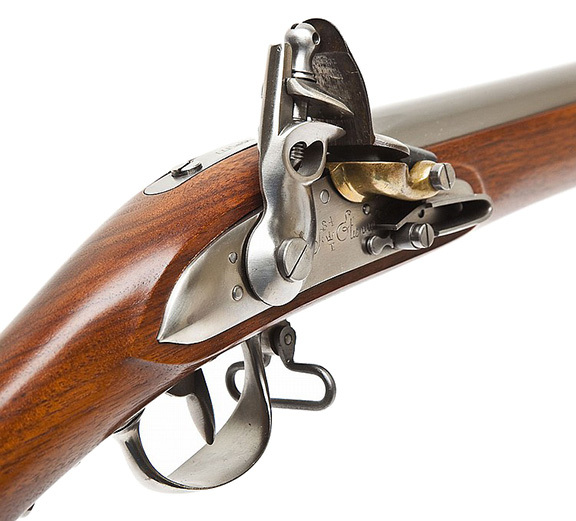 This close-up of a Fusil modèle 1777 “Charleville” nicely shows the brass pan. Note the “Etienne” marking, making it a “Charleville” not actually made in Charleville! This photograph is from a Pedersoli replica. Click the image to enlarge, or visit the Muzzle-Loaders main page.